www.kriter.org - "...by such a parable..."
Yazar M. Selami ÇEKMEGİL-"Lay Man's Interpretation"
Which is the highest and which is the lowest among the creatures? I put this question by taking our ability of comprehension into account. If you compare an elephant with a gnat, which of these possess a magnificent design? Is a square meter flat screen television or a microchip more impressive? Of course, the interpretations of the answers of these questions depend on the level of human comprehension. When it is said, "No doubt, the ones you worship leaving Allah can not create even a fly", those who are being overwhelmed by the magnificence of the elephant and looked down on the fly said: " Is Allah given this simple thing as a parable?" They do not think that while they can protect themselves from the elephant's powerful trunk, trained them and keep them under control in zoos but they can not do this to flies. They can not easily prevent a mosquito's infectious bite, which may cause great harm. It may be possible to keep houseflies under control by spraying insecticides but, they can not eradicate the other smaller flies. Are the organs in a huge elephant more miraculous than the mechanism in a microorganism which performs vital functions? Which one? Although, the little and pitiful minds may not want to comprehend but Allah does not abstain to give a parable about a mosquito to warn those who seek for His mercy and say: " No doubt, the ones you worship leaving Allah can not create even a fly, even if they all come together for this reason. If the fly caches something from them, they can not get this back from it." These little minds do not comprehend that " The one who wants and the one who wanted from are both helpless". As a matter of fact the situation of those who seeks protection from others, rather than Allah is described as similar to that of the spider which makes a nest with the web. And Allah says" Those who choose others as their guardians rather than Allah, are similar to that spider which makes a nest. But they should have known that, among the houses, the most useless one is the spider's nest". With these samples Allah, kindly provides clues for the human-even a layman like me can understand- in distinguishing those using his head, with high quality that deserves His mercy from the others. But some who betray their creation and go against their natural inclination, to undervalue these warnings will say: "What does Allah means by giving these small things as parables?" And they try to cover the enormity of the message. They do not know that a functioning intellect can find a away from these -considered to be small by them, in fact they are magnificent samples- to the real meaning of life and lead them to go towards Allah. And by escaping from worshipping idols they are honoured. They comprehend that this is a reality from their creator Allah. Have we not seen every so often that a simple event brings good fortune to some and bad luck to others. But in this case destiny is not a game of luck but dependent upon merits. They do not think that Allah will not cause to go astray those who are separate from the people who do not want to see the reality in front of them and do not fill ashamed from their weakness of comprehension. However, we always see the characteristics of these shameless individuals. They even try to annul some of the virtues that God gave them at birth. They turn their back to their good natural direction and they become fixed to dogmas. Instead of protecting the good qualities that God gave them, they change them to the bad ones. They imitate women while they are men and they imitate man while they are women. They desire the natural order be upside down. They sow the seeds of mischief among people spread defeatism while God's wishes for people to adopt justice, to unite and progress on the path of goodness. Instead of showing interest and doing goodness to their community, they cut their ties with it and they become reclusive, indolent and ill mannered. Instead of combining all the natural ability God endowed on them to create monuments, they cut off the social solidarity between them. They desire to spoil the divine order. They do not take in to account the human relationship; human obligations and they do not hesitate to retract from their promises to others. They pollute the environment. These are the ones deserve God's punishment, these are the ones will be disappointed, These are the real losers. Allah let us know ahead, of course to those who listen. 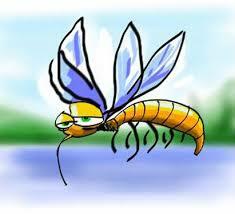 "Allah does not disdain to give a parable about a gnat or a larger creature. The faithful know that it is the truth from their lord, but the unbelievers ask: ' What could Allah mean by this parable?' By such parables Allah misleads many and enlightens many. But He misleads none except the evildoers. Those evildoers who break His covenant after accepting it and divide what he has bidden to be united and commit evil in the land. Truly these shall have much to lose"
"...BİR SİNEK BİLE YARATAMAZLAR AMA…"